Mrs. Shurtz was a devout Mississippi timber heiress married to a Reverend. She’d lived abroad doing mission work with her husband for over 30 years before moving to California in the mid-1980s. By 1996 her net worth exceeded $7 million, but she and her husband lived modestly, and gave nearly $1 million to various charities between 1989 and 2001. Mrs. Shurtz had Parkinson’s, but her condition was manageable. She enjoyed a good quality of life for over 7 years after she formed a family limited partnership. Mrs. Shurtz owned an approximate one-sixth interest in her family’s business, C.A. Barge Timberlands L.P. (“Timberland LP”), which operated a 45,000-acre timber plantation. By the mid-1990s, the Barge family had grown and 14 family members or trusts owned undivided interests in the timberland. The family decided that the tree farm would be easier to operate and manage if the various undivided interests were contributed to a Timberland LP. The Timberland LP partnership agreement required distributions of not less than 40% of the partnership’s net income to its partners each year, to allow the partners to pay income taxes on their distributive share of Timberland LP’s profits. The Tax Court noted that the Barge family was concerned about Mississippi’s hazardous tort law environment. After consulting with a tax and business planning attorneys, Mrs. Shurtz and her relatives in the Barge family decided to form family limited partnerships for their respective family branches. Each branch contributed its Timberland LP interests to their family limited partnership. The Shurtz family established a family partnership (Doulos LP). A family memo noted that there were four purposes of Doulos LP: (i) “reduce the estate” (ii) “provide asset protection” (iii) “provide for heirs” (iv) “provide for the Lord’s work”. The partnership agreement contained relatively standard anti-assignment and anti-transfer provisions designed to prevent judgement creditors from seizing the underlying timberland, and instead obtain only a right to a pro rata share of Timberland LP’s partnership distributions. Mrs. Shurtz also owned about 750 acres of timberland outright. She gave an undivided interest in this timberland to her husband, who then contributed this gifted interest to Doulos LP. Mrs. Shurtz contributed the rest of her interest in the timberland to Doulos LP, along with her approximately 16% interest in Timberland LP. From 1996, when Doulos LP was formed, until 2000, Mrs. Shurtz gave regular annual exclusion gifts of Doulos LP limited partnership interests to her children and to trusts for her grandchildren. At her death, Mr. Shurtz and she each owned a 1% general partnership interest, she owned a 87.6% limited partnership interest, and the childrne or trusts together owned a 10.4% limited paartnership interest. On the “good facts” side of the ledger, the partnership maintained a capital account for each partner, and regularly filed its Form 1065. On the “bad facts” side, Doulos LP did not maintain books of account, some of the partnership’s expenses were paid from the Shurtzes’ personal accounts, and distributions from the partnership were not always proportional (although missed distributions were made up in subsequent years). The Barge family timberland business was a “real business”, and the Barge family held annual family meetings in Mississippi regarding management of their timberlands. The Shurtz family attended these meetings regularly. They held the Doulos LP annual meetings in connection with these meetings, where plans for a sawmill, land maintenance strategies, and harvesting strategies were discussed. Regular minutes were kept of the meetings, even though there was no Mississippi state law requirement to keep minutes. Mrs. Shurtz died in 2002. Although her 706 was due in April, 2003, it was not filed until December, 2003. The family advisors were not concerend about the late return, because they assumed no tax was due (based on her estate’s use of the estate tax marital deduction and conventional A-B planning). The IRS made arguments under sections 2036 and 2035(a) that the underlying values of the Doulos LP assets were includible in Mrs. Shurtz’s estate, rather than the pro-rata value of the limited partnership units themselves. The IRS further argued under section 2056(a) that the estate tax marital deduction should be measured with reference to the value of the Doulos LP units transferred to Fund A, not the underlying partnership assets. (If the IRS succeeded in this argument, of course, it would create an insufficiently funded Fund A, and an insufficient estate tax marital deduction, giving rise to an estate tax deficiency. The taxpayer argued that section 2036(a) did not apply, because the transfer of assets to Doulos LP was a “bona fide sale for an adequate and full consideration”. In the context of family limited partnerships, the bona fide sale for adequate and full consideration exception is met where the record establishes the existence of a legitimate and significant nontax reason for creating the family limited partnership, and the transferors received partnership interests proportionate to the value of the property transferred. The objective evidence must indicate that the nontax reason was a significant factor that motivated the partnership’s creation. A significant purpose must be an actual motivation, not a theoretical justification. A finding that the transferor sought to save estate taxes does not preclude a finding of a bona fide sale so long as saving estate taxes is not the predominant motive….The record shows that decedent had several nontax reasons for establishing Doulos LP. On the totality of the evidence, we are satisfied that the Barge family (including the Shurtzes) had a legitimate concern about preserving the family business and that they established family limited partnerships to address their concerns…we are satisfied that decedent and her family were actually motivated by a legitimate concern regarding the threat of litigation that went beyond mere speculation, that the establishment of family limited partnerships was a customary response in Mississippi to possible lawsuits, and that the Doulos L.P. partnership agreement was designed to limit the exposure of the ownership interests of the partnership (e.g., protection of limited partnership interests from seizure and the automatic conversion of general partnership interests to limited partnership interests). In conclusion, although we recognize that reducing estate tax was a motivating factor in establishing Doulos L.P., decedent had valid and significant nontax reasons for establishing the partnership. These reasons were “actual motivation” and not merely a “theoretical justification.”…Hence, we find that the transfer of property to Doulos L.P. constituted a bona fide sale. Under the Bongard factors, the full and adequate consideration element of the test to avoid application of section 2036 was also satisfied. First, contributors recieved interests in the partnership proportionate to the onwership interest each contributed. Second, the respective assets contributed were properly credited to each partner’s respective capital account. Third, distributions from the partnership reuqired a negative adjustment in the distributee partner’s capital account. Fourth (and most importantly), there was a legitimate and significant nontax business reason for the establishment of the partnership. Overall, the Court was satisfied that the formation of the partnership and capital contributions were “carried out in the way that ordinary parties to a business transaction would do business with each other”, so it held that the transfer of property to the partnership was for adequate and full consideration. Because the Court found a bona fide sale for an adequate and full consideration, the fair market value of the contributed property was not includible in the decedent’s gross estate, and the Court did not need to address whether decedent retained an interest in the transferred property. The result was that only the fair market value of her partnership interest was includible in Mrs. Shurtz’s gross estate. With this result in hand, the section 2056(a) marital deduction question was also resolved favorably for the taxpayer, because the same partnership interest includible in Mrs. Shurtz’s gross estate was deductible upon passing to Fund A. There was no assymetry in valuation between inclusion and deduction, and therefore no shortfall in Fund A, no insufficient marital deduction, and no estate tax deficiency. Shurtz is a very interesting case. Bad facts did exist, including significant taxpayer motivations to save taxes, failure to keep partnership accounts, disproportionate distributions, and commingling of funds. 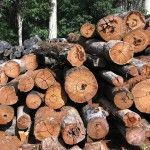 Even so, good facts were sufficient outweigh the bad facts — the family had a genuine operating business in the timber plantations, and they had credible asset protection concerns. Further, the Shurtz family seems to have presented very sympathetically to the court. This isn’t a legal factor per se, but (unsurprisingly) it’s often very important (see, e.g., Mirowski). For clients with actual operating businesses, Shurtz is quite instructive. With careful planning and follow-through, clients with operating businesses should be able to present even better facts than those supporting the pro-taxpayer result in Shurtz. A Big News Day: Section 7520 Rate Stays Put, 10 Year GRAT Legislation, Gov. Beshear Signs HB 188!